What do I do? Is Airdroid safe or did they add some shady stuff in a recent update? I have had major problems with Outlook 2007 suddenly being unable to connect to my ISP, and hundreds of fake messages sent out as if coming from me. After repeatedly scanning my desktop with Norton anti-virus and now with Malwarebytes, Malwarebytes showed AirDroid as containing a Trojan Horse. 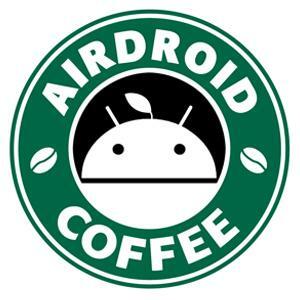 I've removed Airdroid from my phone and desktop, and am concerned that it may still lurk somewhere on my phone even after uninstalling. However, the log report doesn't specify anything. Sorry, guys. 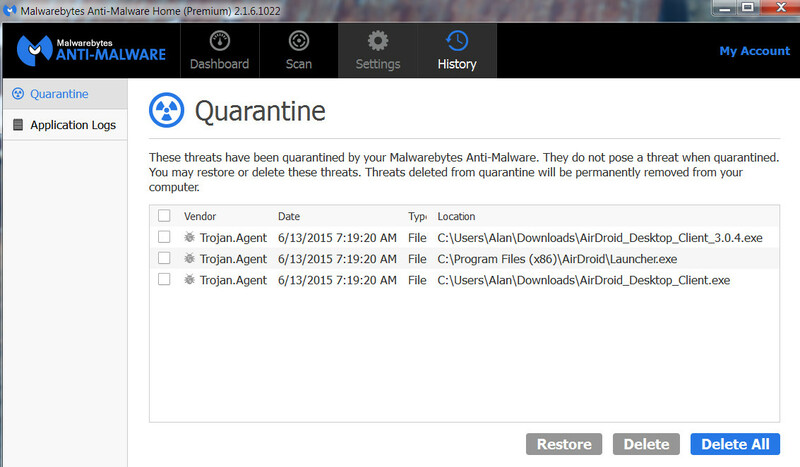 We believe this is a false positive and we'll contact Malwarebytes to correct this asap. We well, I got the same thing after running malware bytes. I quarantined it and my laptop runs soooo much faster! I had installed then removed airdroid as I felt it was good but didn't need it. For a long time my pic was running very slow, didn't connect it with installing this programme. I was trying to run Mass effect Andromeda and it was looking bad and playing slowly. I tried checking for malware, found this as the only thing, still there despite deleting the programme, and now the game runs very well (for my laptop at least). Faster, smoother, even looks better. Whether it's intentional or not, this airdroid leaves behind a crippling price of software - everything works faster on my pic now. I would highly recommend you delete the app, and the malware, see if your pic runs better. If there is no discernible change - reinstall it and know its fine. If your computer is better without it - well, you have your answer!